Based in San Diego, California, Elliot Feuerstein serves as an officer of Mira Mesa Shopping Center. A veteran of the retail real estate construction industry, Elliot Feuerstein is also a member of the International Council of Shopping Centers (ICSC). ICSC regularly conducts research to highlight the integral role of the retail real estate industry. In 2018, for instance, the organization commissioned research firm Alexander Babbage to perform a study on how brick and mortar stores impacted web traffic for retailers. For the study, titled “The Halo Effect: How Bricks Affect Clicks,” researchers looked at 800 stores in 145 US markets with a coverage of 222 million people. They also polled 4,000 people. Researchers found a very distinct relationship between opening retail stores and increased web traffic. For example, they found that after opening physical retail stores, emerging brands that were less than 10 years old saw, on average, a 45-percent increase in web traffic, while established brands over 10 years old saw an average of a 36-percent increase. On the other hand, when retailers closed stores, they suffered a decrease in web traffic. In one example, a retailer that closed one-third of its stores saw a 50 percent decline in web traffic in the affected areas. According to researchers, the symbiotic relationship between physical stores and web traffic was attributable to the advertising perks that stores offered. Physical stores act as free billboards that are always in consumers’ faces, giving presence and strength to brands. With such stores, consumers can engage with staff and try on new products, making the whole experience more real. Based in San Diego, CA, Elliot Feuerstein joined Arnold Construction Company in 1974 and continues to guide its operations as president. As a company leader, Elliot Feuerstein attends a variety of trade shows and events in order to keep Arnold Construction Company apprised of the latest industry technologies and trends, including the annual International Council of Shopping Centers trade show. 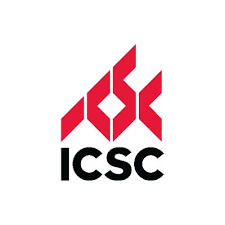 The International Council of Shopping Centers (ICSC) represents the collective needs and interests of 70,000 professional members around the world. ICSC president and chief executive officer Tom McGee, reflecting on findings from the ICSC report The Halo Effect: How Bricks Impact Clicks, recently spoke about how members would to well to prioritize both a physical and digital presence. 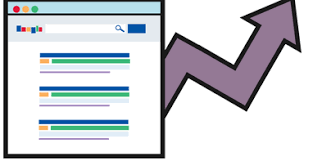 The study found that a company’s web traffic can increase by 37 percent, on average, following the opening of a new location. This number can jump to 45 percent for emerging retailers. Related findings included a 27 percent increase in area market share for web traffic, driving home the important relationship between physical locations and a company’s online brand. The report also indicated a positive relationship between brick and mortar points of access and digital communications for established retailers, with 80 percent of store openings resulting in an web traffic share. A more comprehensive breakdown of The Halo Effect can be found at the ICSC website. A commercial real estate executive with more than four decades of experience, Elliot Feuerstein serves as an officer of Mira Mesa Shopping Center in San Diego, CA. Throughout his career as a real estate developer, Elliot Feuerstein has been an active member of industry groups such as the International Council of Shopping Centers (ICSC). In addition to offering various professional development programs for retail real estate professionals, ICSC oversees the Office of Global Public Policy to promote legislation and regulatory policies that benefit ICSC members. Recently, the organization has been using its advocacy resources to raise awareness of several issues related to tax reform, infrastructure investment, and marketplace fairness. 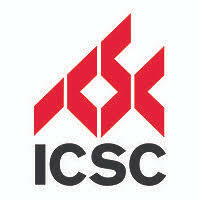 ICSC is also advocating for improvements to the Americans with Disabilities Act. To raise money in support of its advocacy agenda, ICSC operates the country's only federally registered political action committee (PAC) focused on the retail real estate industry. 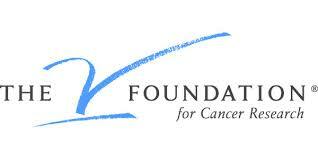 More information about the PAC and ICSC's current advocacy priorities is available at www.icsc.org.